Can Farmers and Processors Keep Milking Profits Out of a Market in Which Grocery Retailers Process Milk? Milk is mostly a commodity product: a convenience item, purchased frequently and consumed regularly, sold at low margins. Even though they rarely make much profit on it, grocery retailers realize that they cannot risk being out of milk, because most consumers add a gallon to their shopping baskets on nearly every visit. But at the same time, milk consumption is decreasing overall, such that prices and supply keep fluctuating. In addition, by taking on the responsibility for production, the retailers can cut out existing dairy processers. Ultimately, this move may enable the retailers to reduce the costs of production, even though their short-term investments in building the plants are substantial. Because they purchase the raw materials directly from farmers, they avoid paying a third party to process the milk. For some farmers, this shift may prove beneficial, because they gain a new channel in which to sell their products. 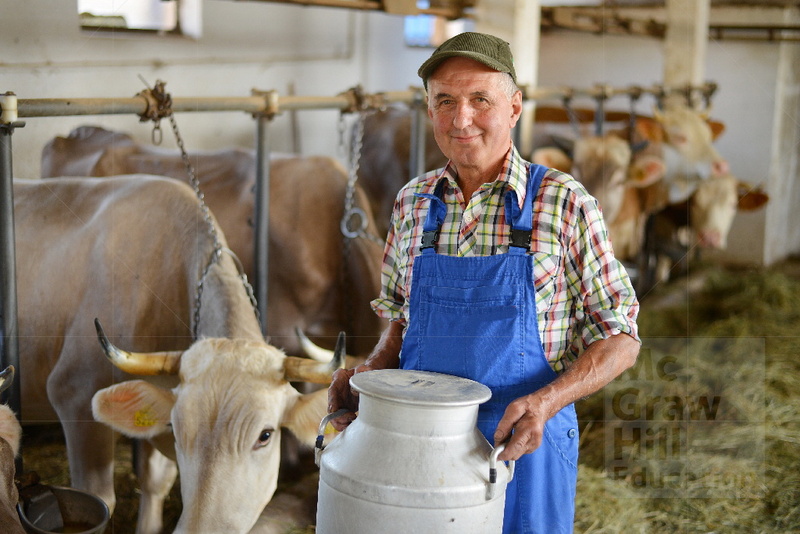 Such an option would be vastly more appealing than the tactic that some farmers have turned to, when faced with a glut of milk: pouring the excess that they cannot sell right into their fields. For the processors though, the change in the supply chain looks ominous. They already have been hard pressed by decreasing prices and lower consumption, but rather than investing to update their plants to be able to process additional products, most of them have sought to cut costs. Others, including the Dairy Farmers of America cooperative, are investing more in expanding their capabilities to process milk powder or butter. But regardless of their response to the shifts in market demand, these producers realize that the entry of powerful retailers into the production line will make it more difficult for them to compete effectively. What are the pros and cons of companies like Wal-Mart and Kroger having their own dairy plants?